سواءً كنت مسافراً بغرض السياحة أو العمل, Dolphin Motel هو خيار عظيم للإقامة خلال زيارتك Bay of Islands. يمكن من هنا للضيوف الاستمتاع بسهولة الوصول إلى كل ما تقدمه هذه المدينة النابضة بالحياة. يوفر الفندق بفضل موقعة الجيد وصولاً سهلاً إلى أهم معالم المدينة.
. يعمل Dolphin Motel على ضمان إقامة مريحة لضيوفه من خلال خدماته الممتازة وحسن ضيافته. إن واي فاي مجاني في جميع الغرف, تسجيل وصول/تسجيل خروج خاص, تسجيل وصول/خروج سريع, تخزين الأمتعة, واي فاي في المناطق العامة هي جزء فقط من الخدمات التي تميز Dolphin Motel عن باقي الفنادق في المدينة. يمكن للنزلاء الاختيار من ضمن مجموعة من الغرف المصممة بعناية لتعكس جواً من الراحة، والتي يتجاوز عددها 11. كما أن مجموعة الخدمات الواسعة الموجودة في الفندق لضمان راحتك تترك لك الكثير من الخيارات لقضاء وقتك أثناء فترة إقامتك. اكتشف مزيجاً ساحراً من الخدمة الاحترافية والخيارات الواسعة من وسائل الراحة والمتعة في Dolphin Motel. The pictures a not the final product. The room was damp. Smelly. Basic items in the kitchen missing and overall cheaply put together. Nice spacious room. Separate bathroom and kitchen. Clean and cosy. Quiet away from main road. Very close to shops and the ferry terminal. Very friendly staff. A great place to stay. The only issue was the shower was either scaulding hot or freezing cold. Hard to get it nice and warm. We had an amazing stay here for a couple of days in a double room with a king bed. Very clean up to hotel standard with little toiletries provided. Also a small kitchen attached with pots and pans as well as cutlery and a small fridge available. Very friendly staff who let us keep our bags in reception when we didn't want to carry them with us for several hours. Only point of critique is the shower that turns cold after a while even if you don't make any adjustments. If you don't mind switching the shower off and on occasionally this is definitely the place to stay. Good hosts, very helpful, would recommend to family & friends. I arrived late. A sign on the office door told me my room. Everything was prepared and in order. Although I stayed 2 nights I left very early next morning on a tour, When I returned room had been made up. I didn't actually meet Reception until I was leaving but the lady was very friendly and gave helpful suggestions. District is easy to get around on foot & ferries to Russell are frequent. Only real negative is very poor street lighting outside. 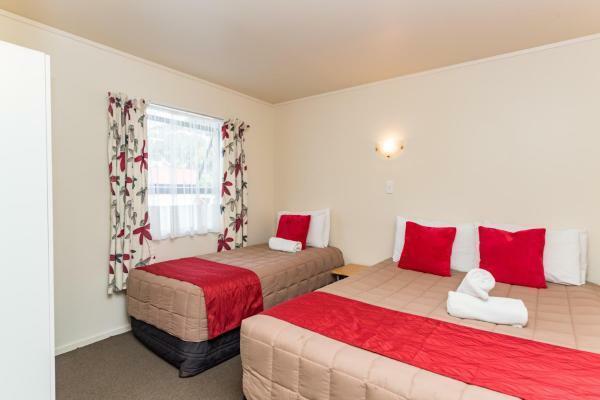 Motel is about 400 metres from main road (& bus station). I was not worried by walking up an ill-lit street but it might make some people nervous (absolutely fine during daylight). For us, this was the ideal motel. Staff extremely helpful and did their utmost to help us. The position of the motel was within walking distance of everything we were interested in and was very quiet. Thank you very much, and we will certainly be recommending this motel to our Aussie friends. Really disappointed with our stay. went for our anniversary celebration. Booked for a 1 bedroom accommodation but was only given a king studio room. We were not advised of this when we check - in. We had to find out ourselves when we entered the room ! When we asked them they said there was some plumming issues with the 1 bedroom accommodation thus they had to change us to this. I understand these stuff can happen and they were fully booked but there was no apology or any communication or offer refund on the cost difference. It was also too expensive for us to change accommodation by that stage. Will not be booking here again. the dolphin motel is ok for the price. the staff were very friendly and helpful letting us leave our car there while we went on a boat trip. This is an excellent motel. Super clean, great little kitchen as well. It was better than I thought it would be. Would definitely come again when I am back in the Bay of Islands. The room was perfect. Stopped in Paihia for a night on a roadie. Asked to stay a second night and the lovely lady at reception was more then accomodating. We had a wonderful stay. No soap, No Shampoo, Staff are rude. It is a motel not a hotel. Avoid if you want to have a good time in Paihia. Our booking confirmation receipt did not have the departure time of 10am so we were informed at 10:20am that we needed to check out. We politely stated there is no check out time but it was okay we were already packing up to leave. We leafy after 10-15 minutes.....the HK staff was making sarcastic remarks that they are upset.....just because my wife went to check if she left her jumper in the bathroom....we already had our bags out around 10:35am. I was a little extra late because the front desk lady kept arguing with me that I booked through Booking.com and not Agoda...refused to look at my phone when I was showing her it was through AGODA....who cares....I just went to settle my bill and we were leaving....why upset your guest. Oh and there was 1 bar of soap in the 2 bedroom apartment...1 bar....no shampoo...plenty of towels.....apartment was clean we just spent the night....no food was consumed or anything just towels and bed sheets used...why was the HK staff sarcastic??????? Motel was very spacious and staff were lovely and helpful. Read reviews before booking and one or two seemed to be written by extremely fussy people. 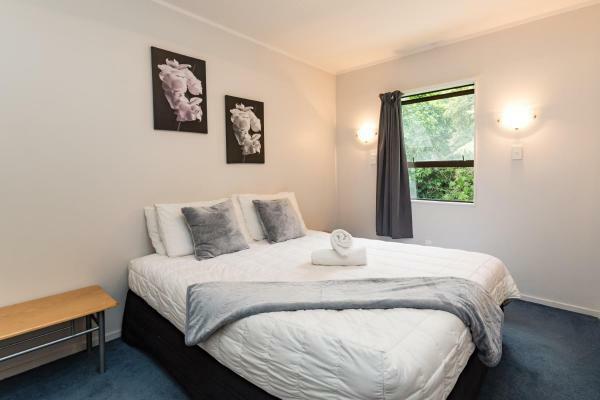 100% recommend as the dolphin is a good kiwi motel with good kitchen facilities if you don't want to dine out every meal. 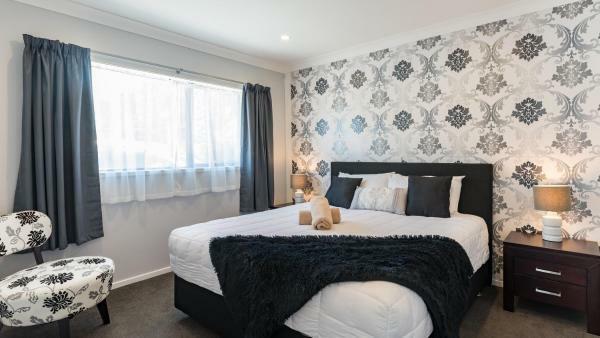 Short 2min walk to piahia centre and on site parking. The rooms are very spacious and fully self contained with a great kitchen enabling self catering. The main bed was very comfortable. I had a great stay; very comfortable and clean room. 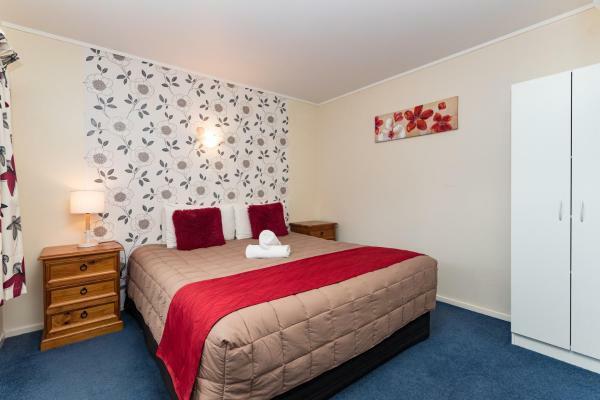 The motel is in a quiet part of Paihia and just a short walk down to the shops and the pier for trips out on the Bay. The TV channels are a bit limited though. Friendly staff, fantastic, large family room and good location. We enjoyed our stay in a great family room with lots of room including a large kitchen and lounge. The staff were friendly and it was a short 10 minute walk to the wharf. Nice location, near amenities, good room. Short walk to groceries and different eateries, nice neighbourhood feel with St John Amb just opposite if you really want to know. We found the room adequate for a base, however, there were a few points that would have made the accommodation more desirable. There were not enough power points in the main living area for plugging in chargers for devices, phones, heater or hair straightener into, there was no breakfast room service or daily herald available. The dishes (which we rinsed and stashed in the dishdrawer) were not washed for us with room service - had we been eating more at the motel, we would have needed all the dishes available. No sky tv available - I thought that was standard service at all motels/hotels. The beds were not made each day for us - we straightened them, but usually we have found our beds completely remade every day including sheets at other hotels / motels - changing sheets is not necessarily important if they are not soiled, but I would have expected the beds to be properly made for us each day. The spare bed in the lounge was uncomfortable for my husband who has a history of back problems. And we didn't notice any smoke detectors in the unit.